provide good examples of my work. What makes this video interesting is a strong school principal whose goals for this after school program include helping the children AND the parents. Kids have a good time while parents learn skills. The video has a strong start with clear goals and an amazing success story that is made visible. 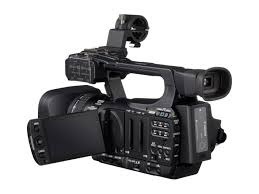 For how video is a part of a strong web site, see this article (Click Here) which we borrowed from SmartMoney.com. Every news story should, without sacrifice of probity or responsibility, display the attributes of fiction, of drama. It should have structure and conflict, problem and denouement, rising and falling action, a beginning, a middle and an end. These are not only the essentials of drama: they are the essentials of narrative. The Main Character: who knew first they wanted to marry, how did they know, what did they do? Destination: dvd for participants, facebook, perhaps youtube.com, vimeo.com, etc. Concept: This scenario can work to bring together memorabilia from a prior wedding including video shot at the time, still photographs enhanced for video, commentary at the time and now, and reenactments where tasteful. Note: This is a illustrative scenario. It will be changed to fit your story. The Hook: something special about you and your customers. This could be an award, a goal accomplished, a happy customer: something with visual appeal.